For Diversity & Inclusion (D&I) efforts to be truly impactful, we all need to better understand and apply the concept of intersectionality. It’s a key part of my previous work leading D&I at HR tech startup, Lever – as well as my current advising conversations with companies dedicated to building better organizations. This approach, while well-intended, might actually get in the way of progress. Maybe you’ve heard it in your organization, or you’ve even said it yourself — it’s all right, let’s consider it as a learning opportunity and unpack it. Take, for example, a fairly prominent issue: the gender pay gap. You may have heard a statistic that shows women make approximately 72 cents for every dollar that a man makes. But that number doesn’t tell the full story. The Equal Payback Project found that Black women make 63 cents, Latina women 54 cents, and Native women 57 cents for every dollar paid to white, non-Hispanic men. In fact, the pay gap between white women and women of color is the fastest growing wage gap, according to the Economic Policy Institute. But beyond pay gaps, this is about how who gets hired, heard, promoted, supported, and everything in between, all the small and big things that add up to big inequities. Thus, the singular focus on one identity — gender — can take away from solving the broader systemic problem. Diversity & Inclusion work is about paying attention to the experiences of marginalized groups, to correct collective biases and obstacles to ensure an equal playing field. Just focusing on gender may end up only benefitting a subset of the population that already is further ahead. Since women make up 50% of the population, the “Women first” strategy might seem to make sense for senior leaders who prioritize D&I initiatives based on pure numbers of people impacted. But the numbers-driven approach to D&I is just one part of the equation. That’s what non-intersectional D&I work can often lead to. You can look no further than our own women’s rights movement in the U.S. to see examples of non-intersectional feminism. I’ve also heard from many women of color who don’t feel like they’re being served by ERGs/women’s groups at their companies. The “women first” trap is understandable, to an extent, and I want to make it clear — there’s no point in excessively calling out or shaming individuals. The truth is, “helping women” seems like the low-hanging fruit to many of us. It’s the more palatable, comfortable route. We live in a world where too many of us are still incredibly intimidated by talking about race, much less take action to solve it, especially when it involves dismantling institutions and norms that have been in place for decades. While many great D&I initiatives do start with small steps, asking people with multiple identities of marginalization to “wait their turn,” contributes to further inequity. So, all of our efforts must be intersectional and deliberately focus on those on the fringes. Because unfortunately, a “focus on women” often becomes just white women. The key to remember, if we can remove the obstacles for those who are most unfairly held back by our society, then those in the middle automatically benefit, too. At the end of the day, being an advocate for workplace equity requires compassion, curiosity, and continual introspection. D&I is also an invitation to hear and learn more about others’ experiences and systematically examine the workings of our society, even if it feels pretty uncomfortable sometimes. Furthermore, it’s an ongoing conversation with yourself in understanding how your own multiple identities fit into the broader work towards progress. So continue to advocate for women’s causes, LGBTQ+ issues, racial equity, disability rights, immigration, and more — but do it through the lens of intersectionality. With that, we can actually solve problems, not replace one with another, or just work on issues closest to our own hearts. Want to learn more about intersectionality and why it matters? Read Culture Amp's 2018 Diversity, Inclusion, and intersectionality report. A version of this article was originally published on Medium. It has been republished here with permission. 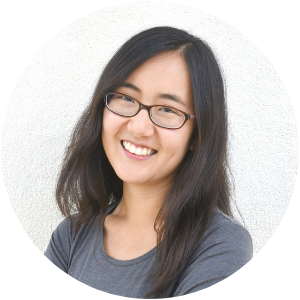 Jennifer Kim is a startup advisor, working with mission-driven founders and companies on all things People-related. She is the former Head of People at Lever. There, she was the first female employee and led D&I efforts that resulted in an inclusive culture that attracted significant representation of people from marginalized groups. Jen also runs Inclusion At Work, a weekly advice column for startups that care about D&I. Learn more: www.jennifer.kim.